Amazon’s Twitch continues is expansion, competing with Google’s YouTube. Google’s service is top-rated, but now more and more users are looking somewhere else to switch camps. A while ago, Twitch was nothing more than a platform used by gamers to stream videos while playing their favorite games. Players still use it for this purpose, but many people now use the platform for general interactions and vlogging. 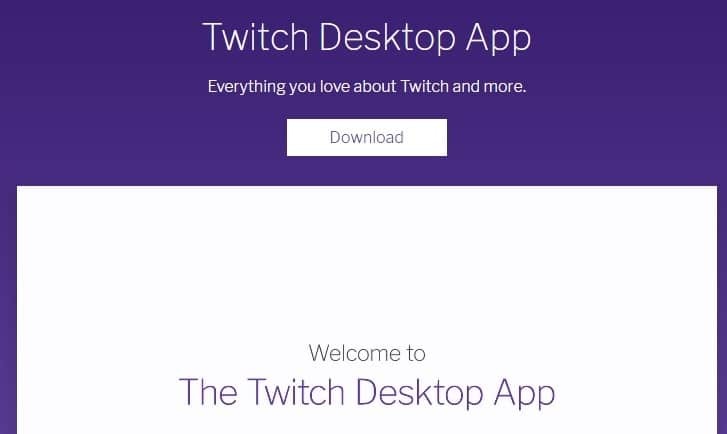 Twitch recently entered entered the desktop market thanks to a new dedicated app. The new app provides access to all the features that Twitch users have known and loved so far, as well as many new exclusive tools. It includes memes, streams, and you can watch all your favorite VODs, clips and live streams. You also get the Twitch chat and the opportunity to support your favorite streamers with Bits and Subscriptions. The app includes many features that are not found on the web such as, the Dark Mode, servers, voice and video calls, friend sync, and lots of mods for games. Dark Mode: now, everything you do on Twitch becomes more friendly with your eyes and you can late night stream without any problems. Friends: using the Twitch Desktop App’s Friend Sync, you can now find all your friends from across the creator-verse. Twitch Desktop Apps’ servers: with these servers, communities have a place where they can hang out non-stop with text and voice rooms. Mods and Addons: the app includes CurseForge which is a game mod community where thousands of mods and add-ons are shared for lots of games. Voice and Video Calls: on Twitch web you can send private messages to your friends with Whispers, but in the desktop app, you can get more personal with voice and video calls. You can get the app from Twitch’s official website.